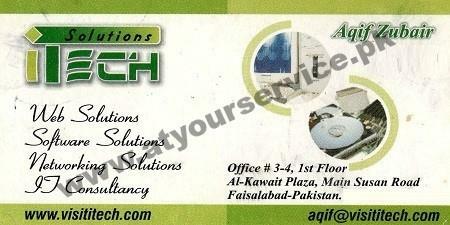 i Tech Solutions is loctaed in Al Kuwait Plaza, Susan Road, Faisalabad. iTech Institute Of Technology was created to address the need for professional IT Consulting, Web Development services and Software Development. We enable you to become more efficient, streamline your operations, and grow to your true potential with the power of technology.